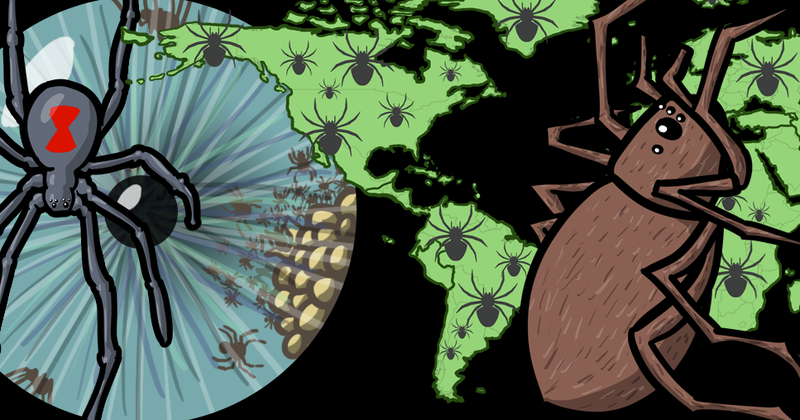 14 Mind-Blowing Facts You Didn't Know About Spiders! University of California entomologist Rick Vetter has gone on record to say, "There is no scientific basis for the supposition that [daddy long-legs] are deadly poisonous and there is no reason to assume that it is true." This cannot be believed, however, because he is in league with Big Spider. Thanks to my for pitching in with feedback as I was running this comic by them, and especially to Jay Paulin, for adding facts to the list (and inventing "Big Spider").